This scene begins the best part of the movie.. When the bad guy reveals himself and really starts some hackin' and slashin'. 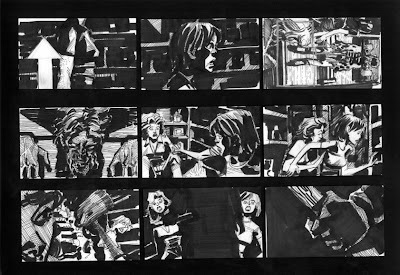 This was shot on a pretty small set, so I storyboarded this scene realizing they would have to retread of many of the same spots. 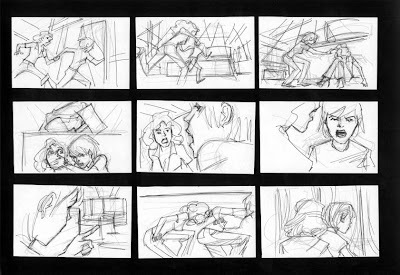 You'll see that the storyboards deviate from the scene in some places. 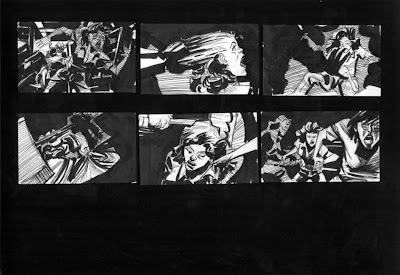 The director left out some elements in the script( which I followed pretty closely in the storyboards) once shooting started.. I think this was the most difficult scene to plan out. I was on the set when this was filmed, and it was great experience. 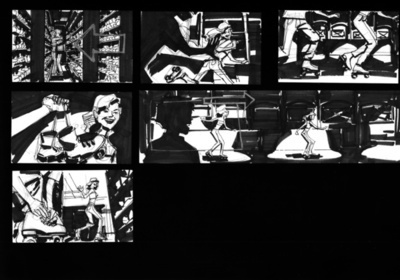 Especially seeing my storyboards displayed next to the directors chair.. 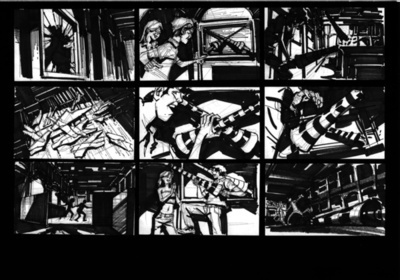 Okay here are the storyboards followed by the actual scene.. BTW.. 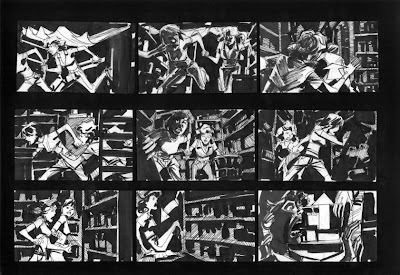 The director asked for simpler storyboards with no spotted blacks, because they were easier to see when shooting in darker settings. This is the first Death Scene of the movie.